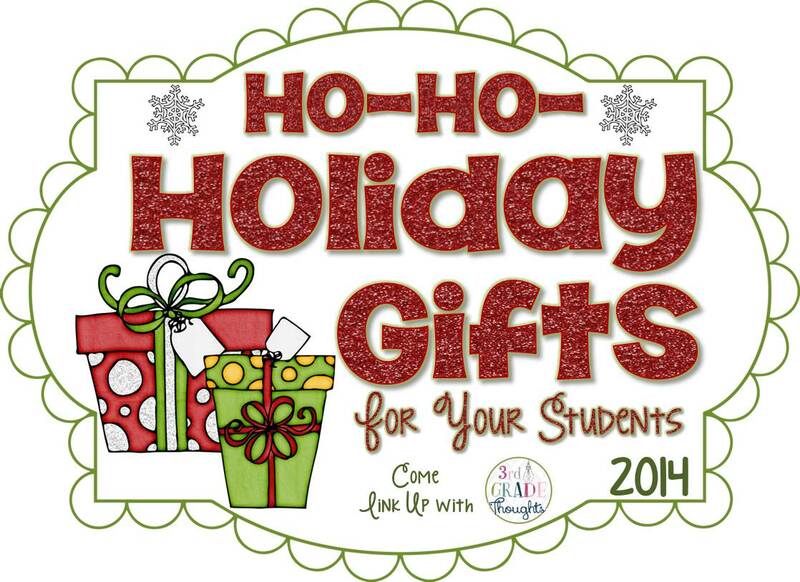 Welcome back to another year of Ho-Ho-Holiday Gifts for Your Students Linky Party! 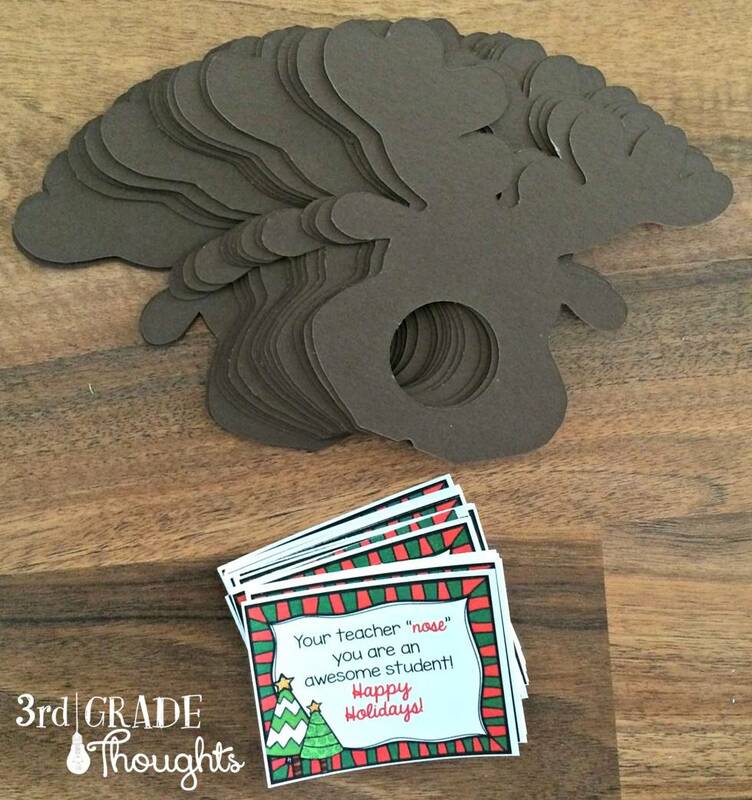 If you haven't had the chance, be sure to check out last year's linky HERE for 25 wonderful and easy gifts to make your students this holiday season. We'll be adding to that list this year to keep the great ideas flowing!! 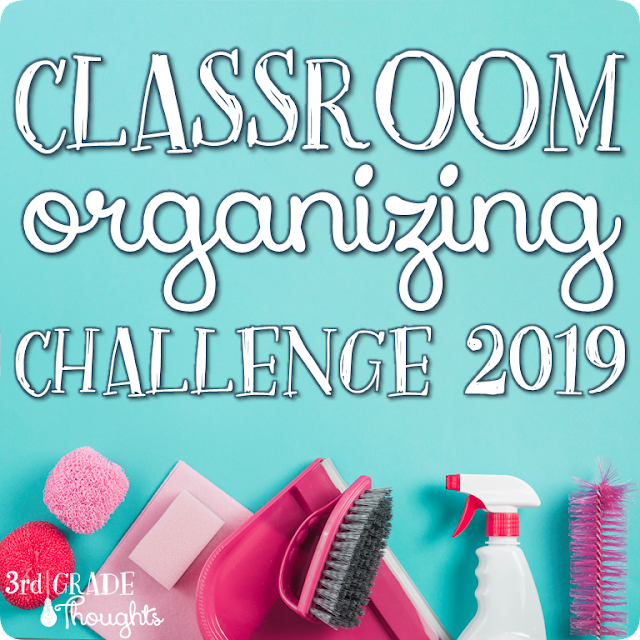 As teachers, our time is short and our budget is small, so sharing what we've made for our class is a great way to get creative and save some cash and stress in the process! 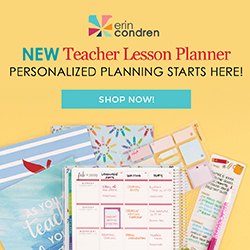 All you'll need to do is grab the image at the bottom of this post (or the one above) to add to your post of the gift(s) you've made for your class. It doesn't have to be a new post or even a super-complex idea, we're just making the search for ideas get a lot easier! 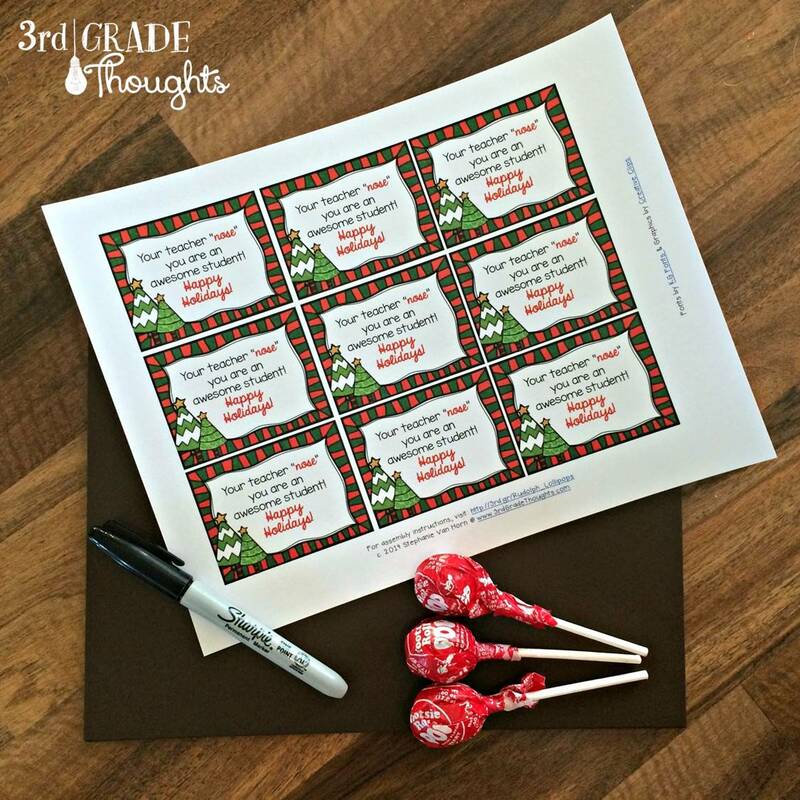 Once you've added the image to your post, come back here to link up (being sure to choose your gift as the image on the linky), then share the word about this linky to all of your teacher friends! It's lots of fun and a great way to kick off the month of December. Not sure if you have the time to get this together before the holidays? No worries! This linky ends in January, so you have lots of time. I saw this on Pinterest, but couldn't find the original source for a while. I'm happy to say I finally tracked it down and it belongs to Erin at Once Upon a Donkey. 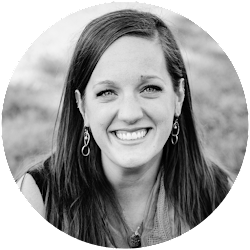 She actually has three different characters (Elf, Reindeer, and Santa), so be sure to head over to read all about them HERE. Brown construction paper or cardstock. I used cardstock since I find it cuts cleaner on my Silhouette Cameo. Cherry Tootsie Roll Pops, or a variety of flavors. I had tons left over from Halloween for this project, so I got lucky and used all red. Because time is short, I decided to use my Cameo to cut out the reindeer heads. 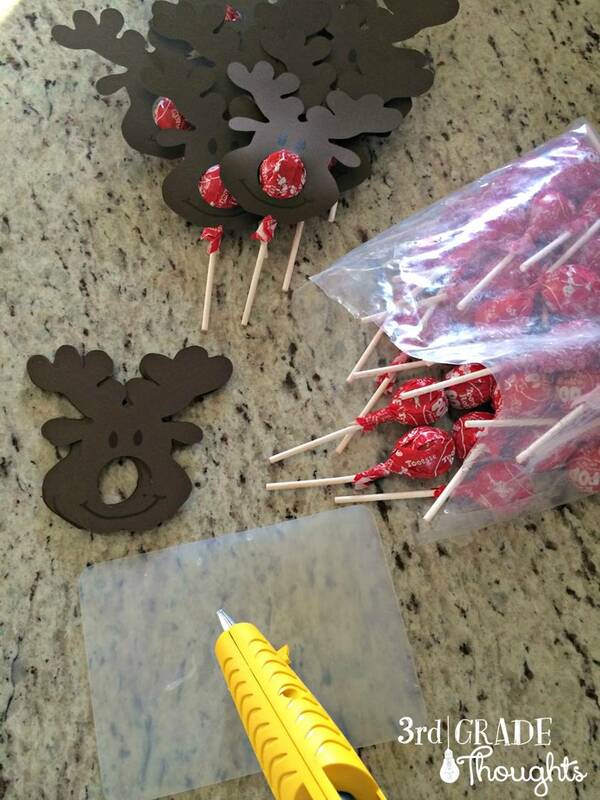 I also only did one side and hot glued it to the red lollipops (for the Studio file, click HERE). 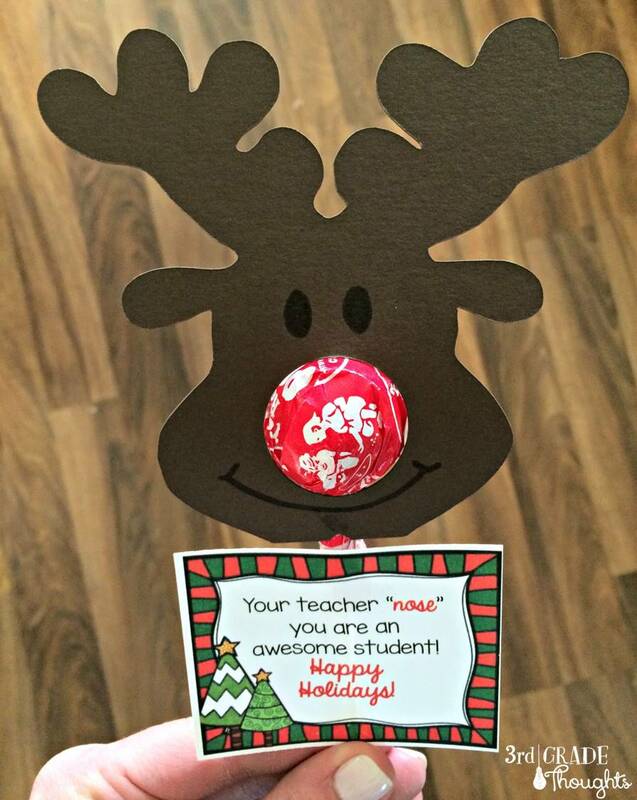 I glued the tag that says, "Your teacher 'nose' you are an awesome student! Happy Holidays!" to the bottom of the stick as well. You can pick up that freebie HERE. Now, it's your turn to link up! Thanks, Jen! It was so easy, I *love* my Cameo!!! He is such a cutie! :-) Do you by chance have a pattern of him for people (like me :-) ) who have to do the old fashioned cutting with scissors way? Yes! If you click on the link to the original tutorial, she has the template to use if you are hand-cutting. Hope that helps!